Could there be a more idyllic way to spend time in nature? We think not. 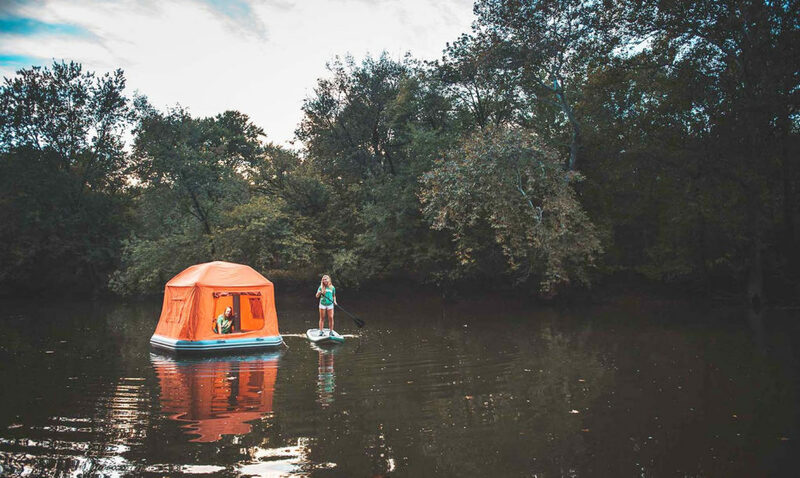 Thanks to the Ohio-based company SmithFly, it’s now possible to sleep in a tent, on water. 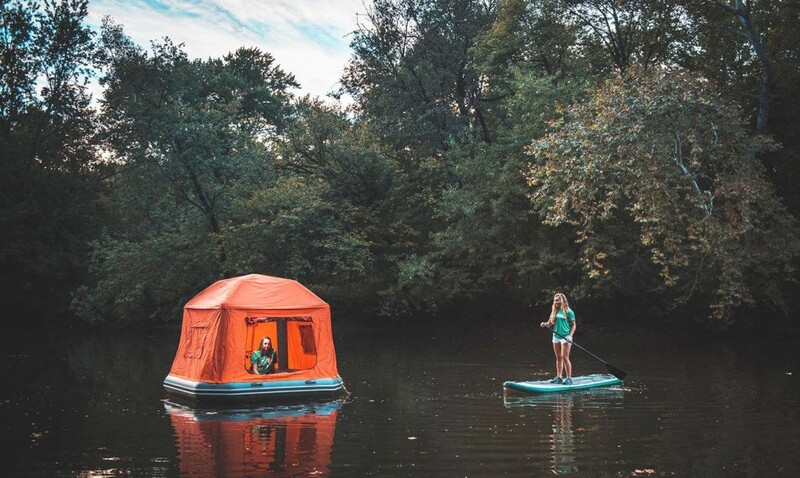 The Shoal Tent, the world’s first floating tent, is approximately eight feet by eight feet, measured from outside to outside. A person 6’3” tall can lay down or stand up in the middle. 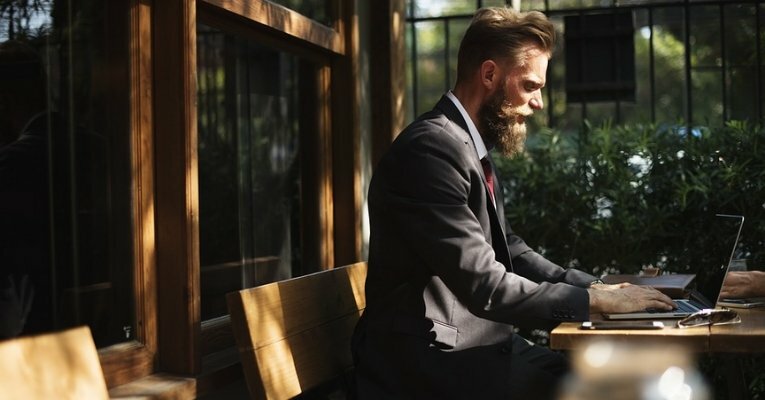 At just 75 pounds, it can easily be folded up to fit inside a burrito-shaped storage bag which is approximately 60 x 24 x 18 inches. 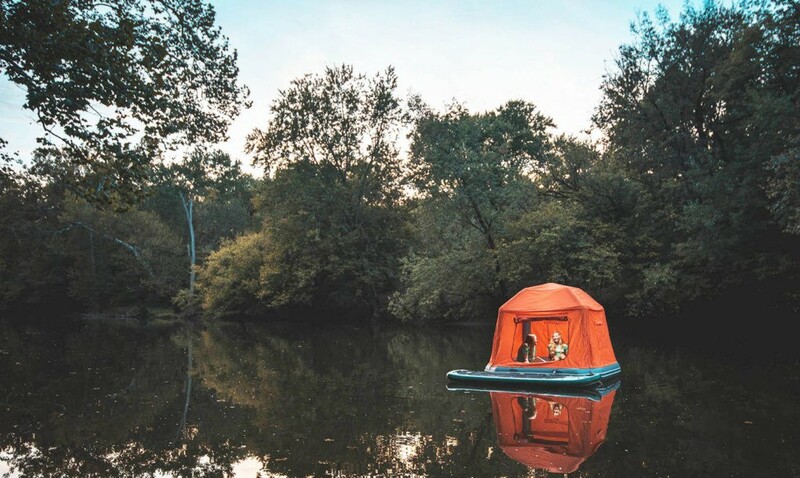 SmithFly suggests using the tent to camp on “your favorite farm ponds, saltwater flat, spring creek, or Eddie on your favorite river.” The company doesn’t need to do much convincing, the floating tent is what camping dreams are made of. 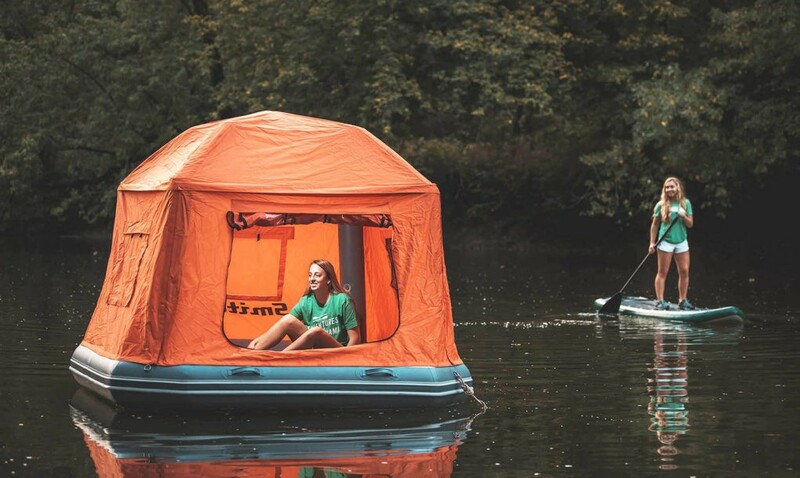 The base of the floating tent is an inflatable raft, which is covered by a tent topper. 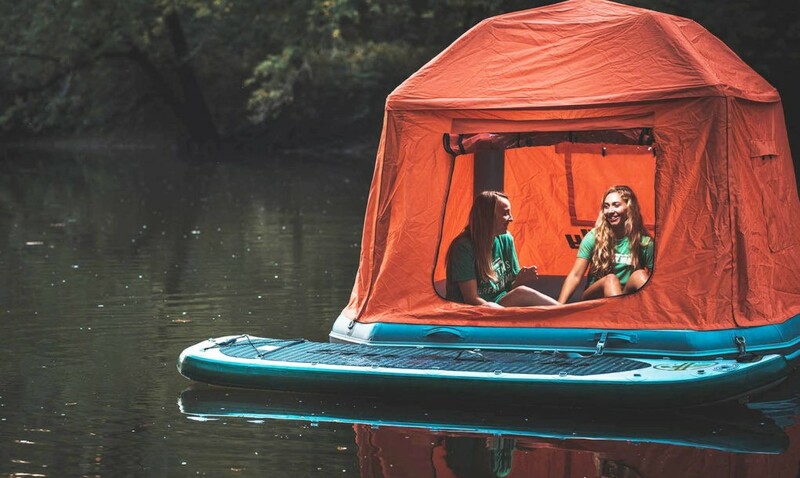 Inhabitat reports that the tent is inflatable, as well, as no poles are necessary. Best of all, the structure can withstand high winds. As expected, the tent fabric is waterproof. The “six inch thick drop stitched” floor acts like an air mattress, and looks like a magnanimous place to hang out — day or night. 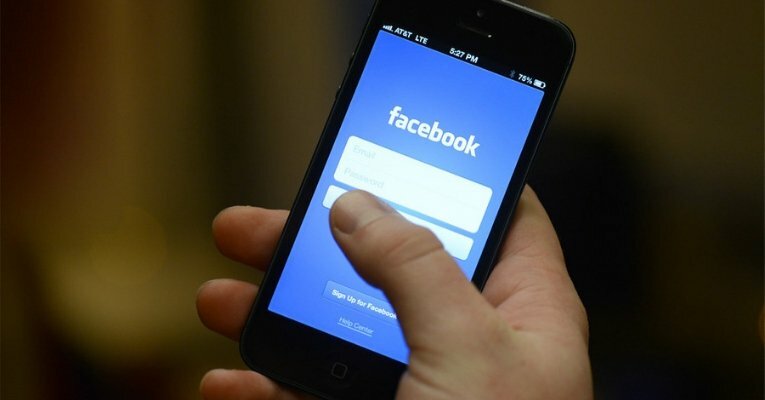 Reportedly, the floor inflates to 10 pounds per square inch (psi), and the tubes inflate to three psi. The company, which launched in 2010, was founded by designer and fly fisherman Ethan Smith. One of SmithFly’s missions is to preserve the environment while producing multigenerational products that appeal to all customers. 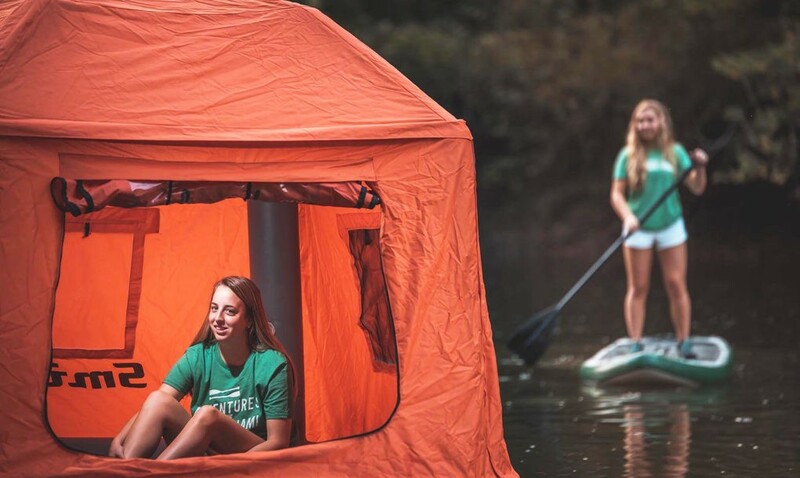 The Shoal Tent costs $1,499 and is available to pre-order online. 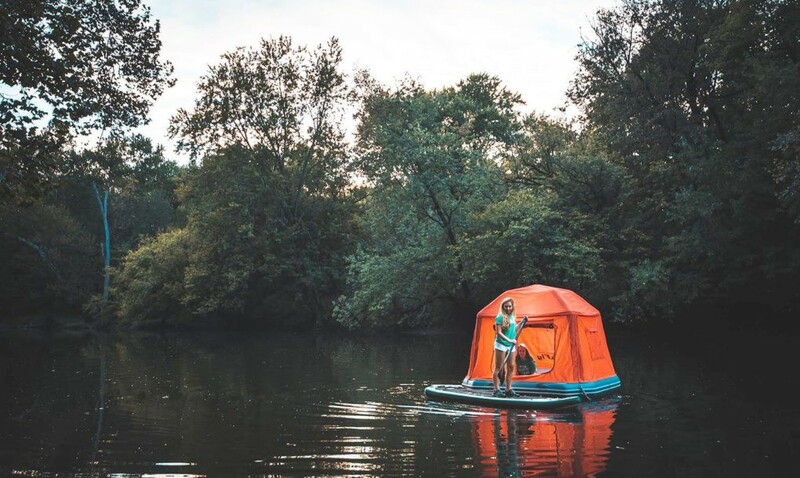 Though the floating tents are not in stock — yet, the first batch will be unveiled in December 2017 or January of 2018. In case of an accident, the Shoal Tent comes with a storage bag, manual foot pump, and patch kit.